Shirdi Sai Devotee Sunanda Ananth says: Om Sairam. I am Sunanda Ananth from Chennai and am participating in the parayan of Shri Satcharitra. I wish to share my experience during Mahaparayan. I was for quite long wanting to read Stavan manjari regularly but it was getting postponed for some reasons. I used to read on and off but wanted to regularise it. I received messages in my group also about Stavan manjari parayan, but I shelved the thought because I already have many tasks. But this morning my dear friend sent me the same forward asking me to take a look at the links. I opened Pooja Garg ji's post and kept reading. Instantly I decided to enrol for regular reading for a year. I did the same. The best part of the whole incident is, I was allotted chapters 41 and 42 for today's reading. As per chapter 41, Dev is unable to read pothi and wants Baba's direct orders to read. I was in a similar situation with respect to reading of Stavan Manjari . Today I got the direct orders through the Stavan manjari parayan plan. 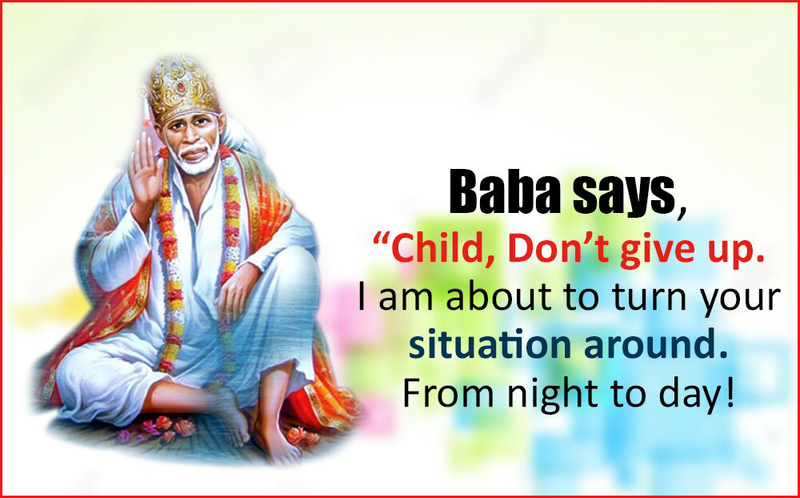 A big salute to Sai for doing things in His own unique way. Love You Sai. Our Baba will never turns anyway away who truly desires to reach Him. All the reading of Sai Satcharitra , Stavan Manjari, Vishnu Sahastranama etc will wash out our sins and effect of bad karmas and eventually do all good to us. Love You Sai. Jai Jai Ho Sai.